1) The web page provided does not load completely. 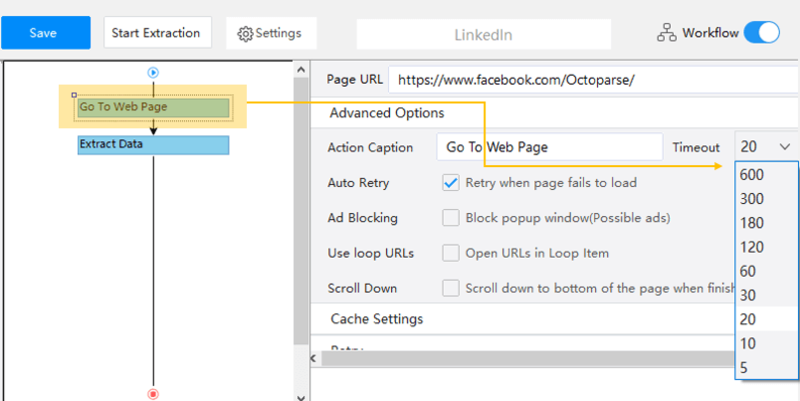 If you find Octoparse stops directly even before the web page loads, you can try to increase the timeout to make sure the page loads completely. 3) The data loading needs the page to be scrolled down. Information, like an image that does not show on the first screen sometimes would only load until you scroll the page down. So we need to set up scroll down to the “Go to web page” action. 4) AJAX timeout is not long enough to update the data. If the data is loaded after you click a button like “show more”, make sure you have set up enough AJAX Load timeout to wait for the data update.